Universal Call to Fierce Holiness! Luke Vercollone and Ruben Garduno started beAst. 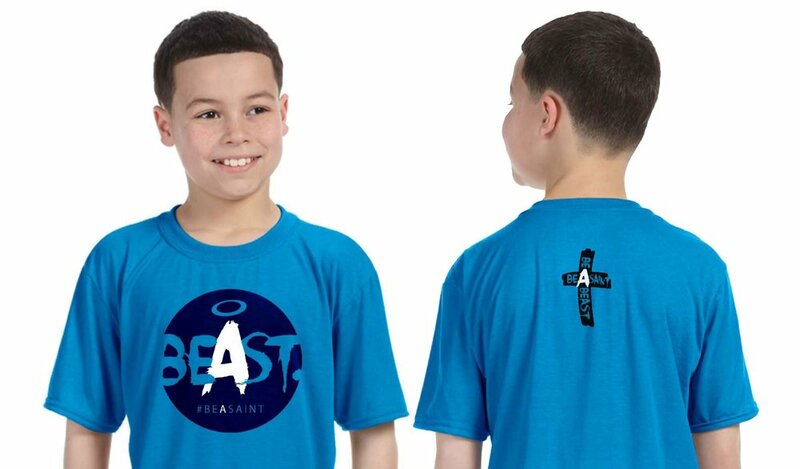 Apparel in 2017 with the mission to encourage Christians to live the Gospel boldly and answer God's call to holiness (be A saint - be a Beast 4 Christ). We are ALL called to be saints! This requires us to strive to enter through the narrow gate. In order to live our faith in the world, we cannot just go with the flow, be indifferent or lukewarm. We must be bold and courageous witnesses wherever we are. Now is the time to be a BEAST for Christ! Scripture uses the word "saint(s)" 68 times. The term saint comes from the Greek word Hagios which means consecrated to God, sacred, holy and pious. The early Christians popularized the word saint. The modern definition of the word "beast" is intense, fierce and courageous and this is what we mean when we say to "be a beast for Christ." “Greet every saint in Christ Jesus…” (Philippians 4:21). Boldly answer God’s call to be saints ... “that you receive her in the Lord in a manner worthy of the saints …” (Romans 16:2); “For the equipping of the saints for the work of service, to the building up of the body of Christ” (Ephesians 4:12); “But immorality or any impurity or greed must not even be named among you, as is proper among saints” (Ephesians 5:3). Sign up with your email address to receive 20% off code, updates, inspiration, give-aways and more! Live the Gospel Boldly! Thank you for your support! Please use 20% off code: "BEASAINT20" for your orders! Feel free to share our content and help spread the Gospel! Please pray for this ministry - Abundant Blessings!